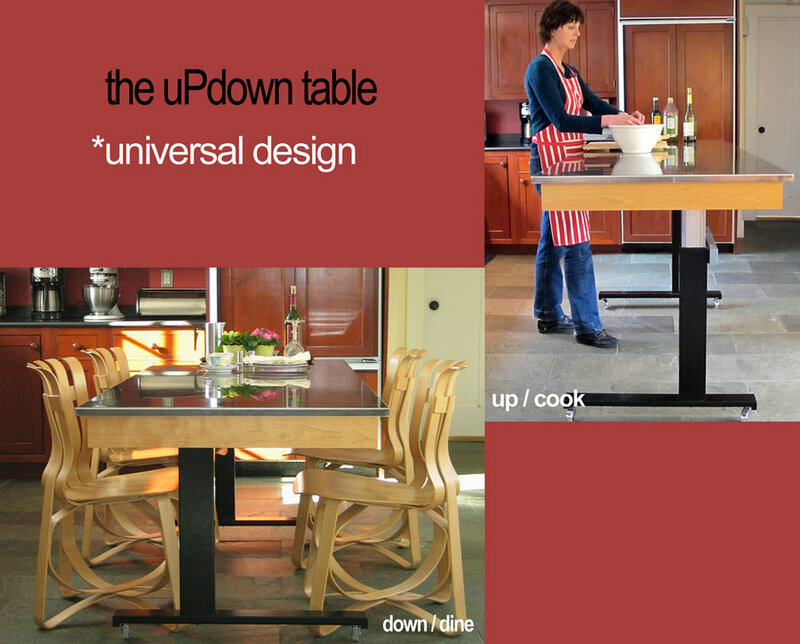 Ideal for every room in the house and for many individual height and mobility requirements, the uPdown table features flexible elements that allow one beautifully designed piece of furniture to meet many needs. In the kitchen, the uPdown table can serve as a prep island. With the press of a button, it can transition to a comfortable sitting height for dining. It can be rolled easily from the kitchen to the dining room for a more formal setting, or in front of the TV for a casual movie night meal. Left in place, the uPdown table is solid and durable to endure years of daily use.